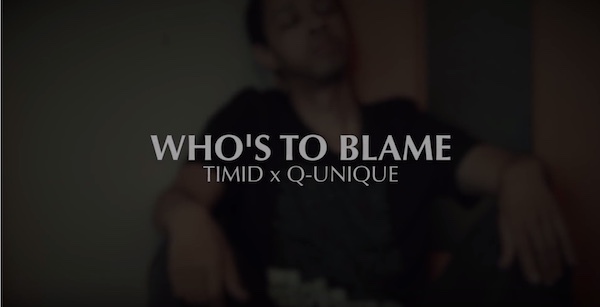 Timid releases lyric video for single "Who's to Blame?" feat. Q-Unique. 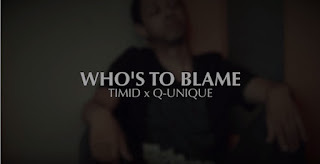 The lyrics overlay intimate video of a reflective Timid contemplating life decisions and internally debating where fault lie - ultimately coming to a realization that some of the blame may be his own.